Nope! This is not a repeated post from 2012. 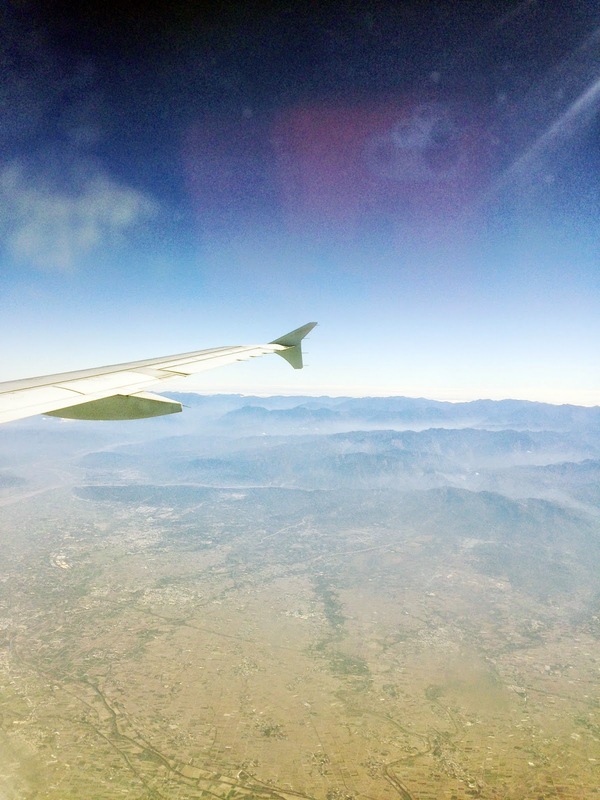 I'm here today to blog about my recent trip to Taiwan again! Three years back it was my first time to Taiwan, and three years after, I headed back to the same place where I visited. I realised I have an affinity with Taiwan, this is why I love that place so much! I love the food, the people, the environment and of course the cold weather! I will be seperating my blogposts for this trip into Days; Hence this time, you will be expecting more informative details about my trip compared to my previous post about Taiwan. I have did quite a decent amount of research for this trip so I hope you will enjoy it! 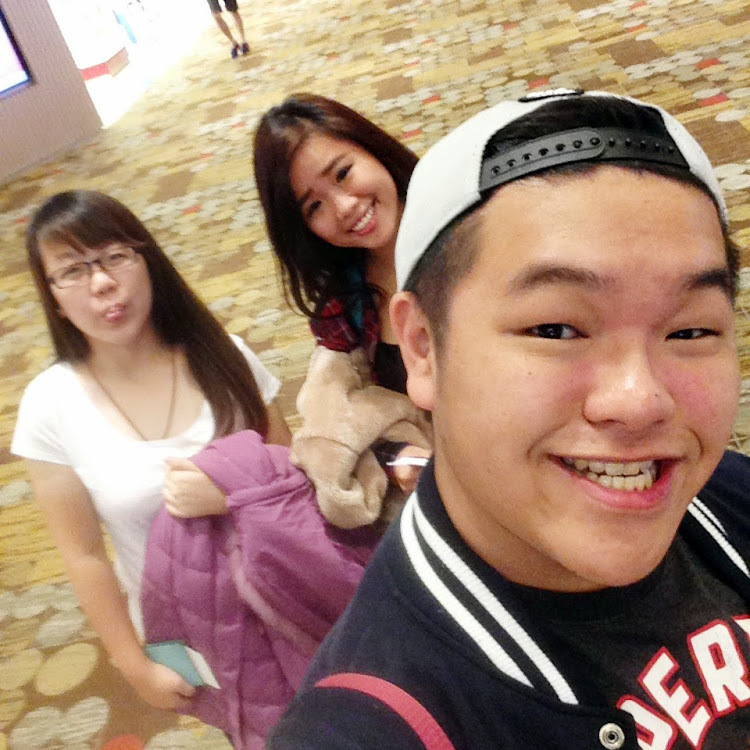 This time, I went with two of my friends Peck Fern and Krystal! 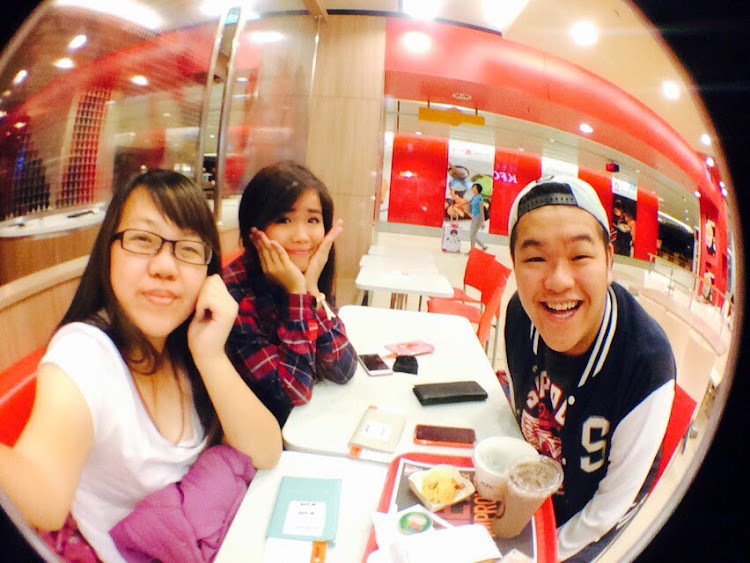 They are both my close friend that we met from school. We are course mates to be exact because we don't belong to the same class. If you are wondering how we met, the business admin cohort (my course) is actually quite small and we only have three classes. So it's not surprising that we all know each other! 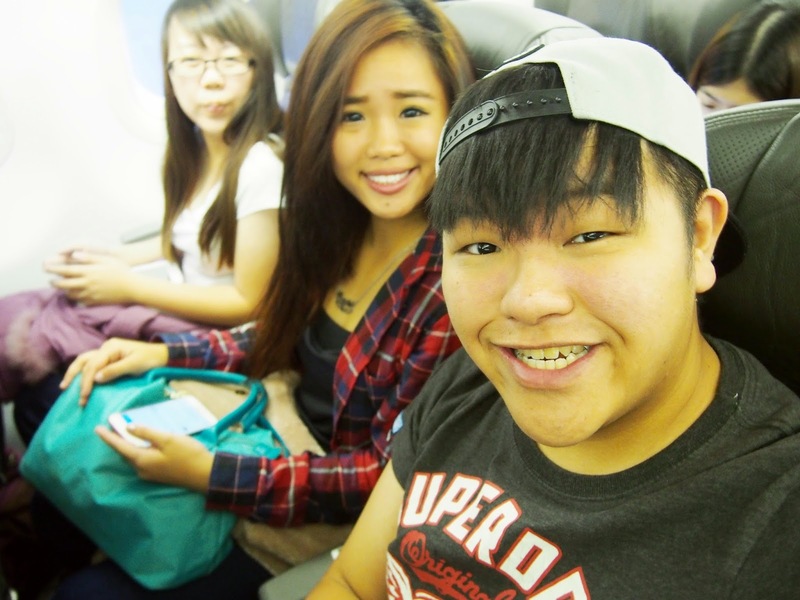 I was looking forward to this trip because it was my first time travelling with my friends. (Let's exclude school trips). This time was our graduation trip, my dear Krystal is about to join the cabin crew and Peck and I are about to start poly life soon. Thus, this was probably the "last" trip we can spend time together. I am uncertain when is going to be our next meet up after we graduate. If I could recall, it was 5am we had to reach the airport to check in! Decided to have KFC Breakfast because it was going to be a long flight! Me pretending that I was going away for student exchange for 6 months lol! 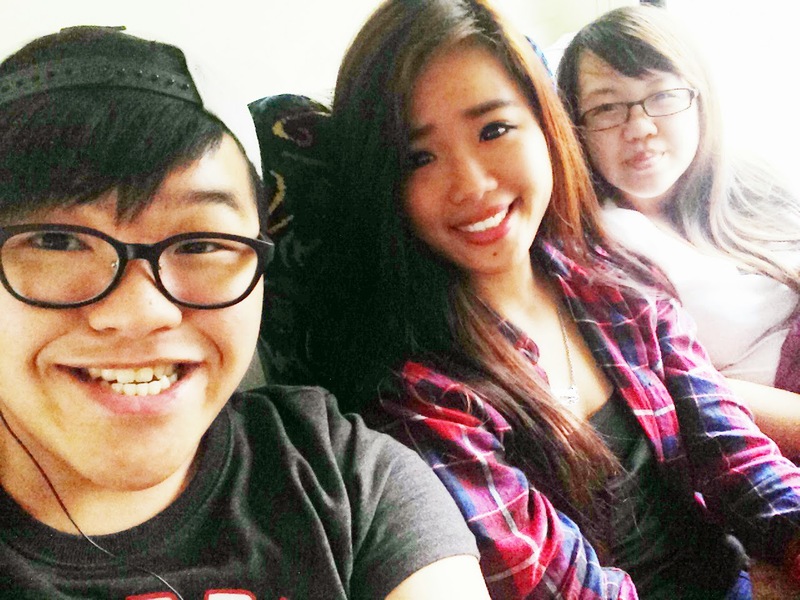 We sure can tons of selfie early in the morning! Apparently, I only had 2 hours of sleep because I was last-min packing! 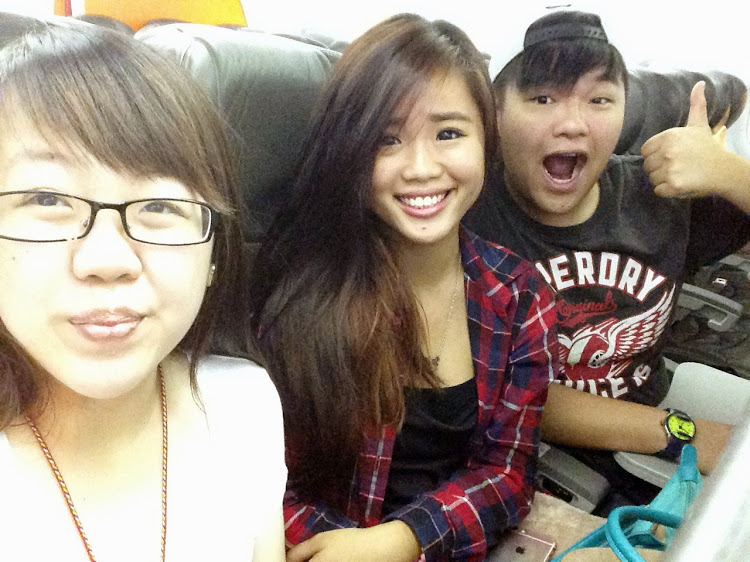 Selfie on the plane before leaving Singapore. My phone was constantly vibrating because my mum was sending me messages on Whatsapp. I actually had a little phobia after the recent case that everyone knew. Thus, I was praying for our safety. Why we chose Jetstar Airlines? It was the only suitable airline that we can fly with because it matches our timing that we want. Oh well, and as students, we can't afford to take other airlines as well because we had a budget and couldn't spend that much. Hence, taking the budget airlines was the best choice! Our initial plan was to reach Taipei earlier so we can go and shop and walk around and on the last day, take the latest flight. We are aware that we will only reach back SG past midnight, but we are not concerned about the expensive cab fare back home. Most importantly, we get enjoy ourselves! 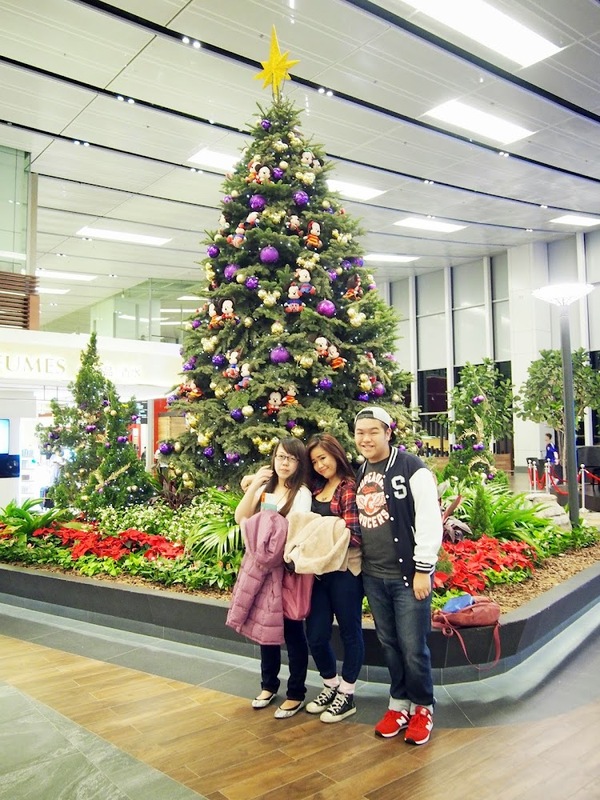 When you arrive Taoyuan International Airport do note that, YOU ARE NOT IN TAIPEI YET! 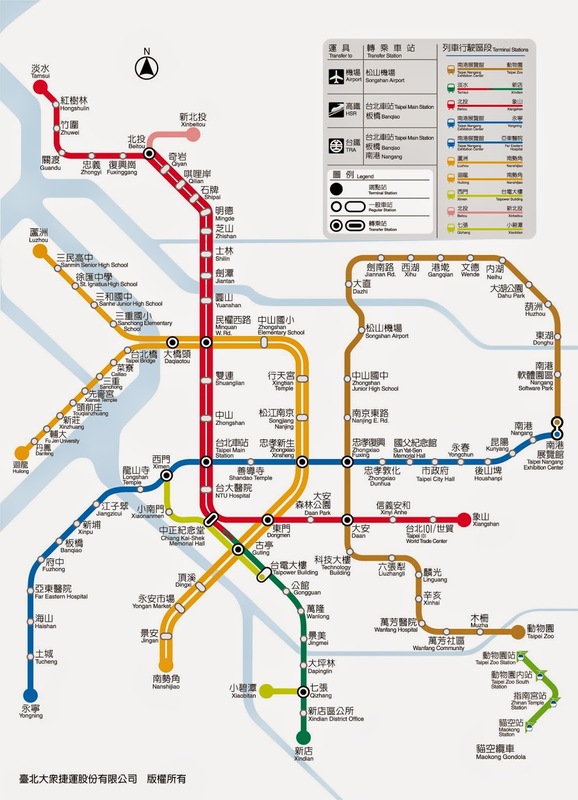 You will either have to travel by public transport or take a taxi to Taipei. The journey to Taipei is around 30 - 45 mins depending on what kind of transport you take. The previous time I came to Taiwan, I took a cab because my family is 5 pax, hence we did a calculation and realised that cab would be more cheaper compared to taking commercial bus. 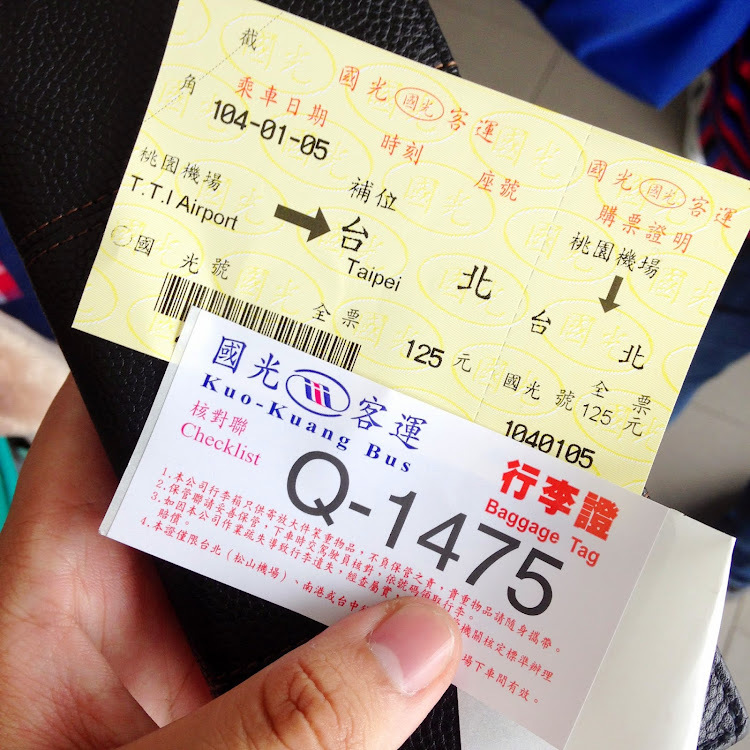 My friends and I decided to take the bus to Taipei and it only cost us 125 yen (approx. 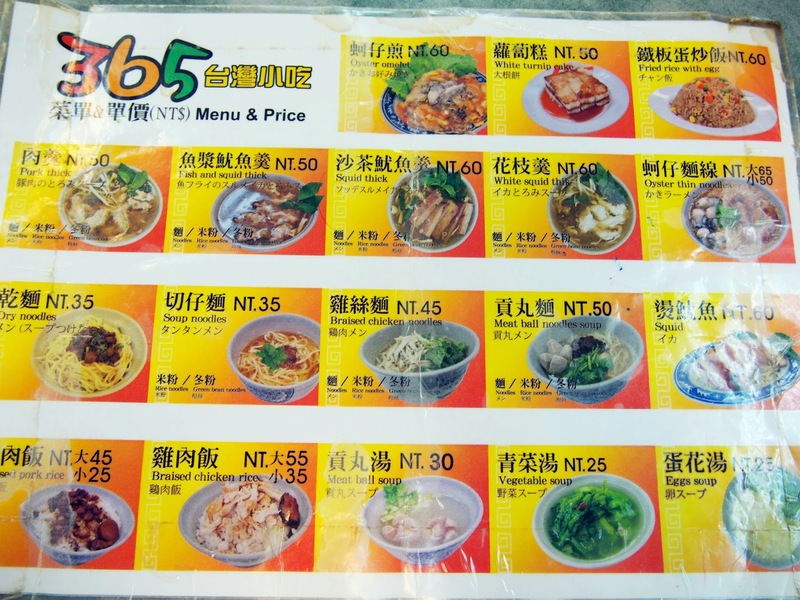 S$5.50). The bus will bring you directly to Taipei Main Station (an MRT stop / Bus Interchange), from there you can disperse to whatever places you want to go. Our accommodation was located at Ximending, hence we have to take the train down. 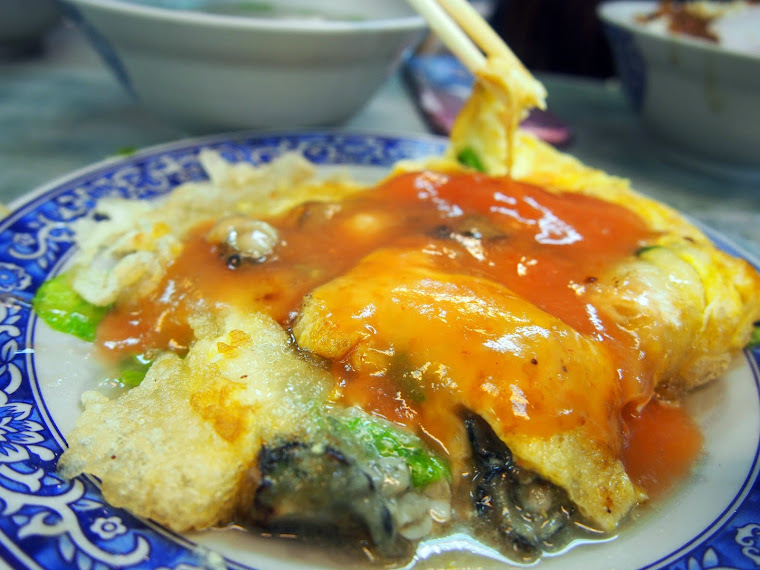 Travelling is very convenient in Taiwan, thus you can actually save on taxi fare if you do not wish to spend so much. I rather you spend the money on food and shopping etc! 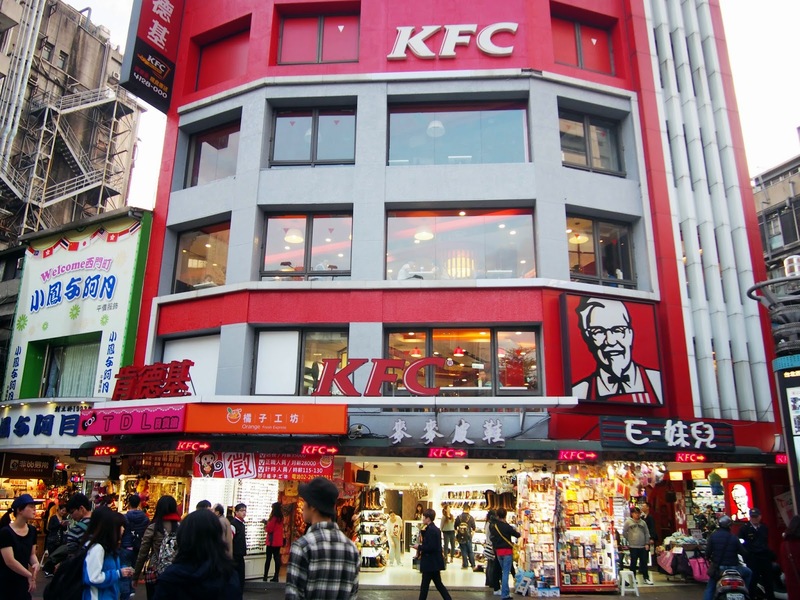 Our place was located at Ximending (only one stop away from Taipei Main Station). 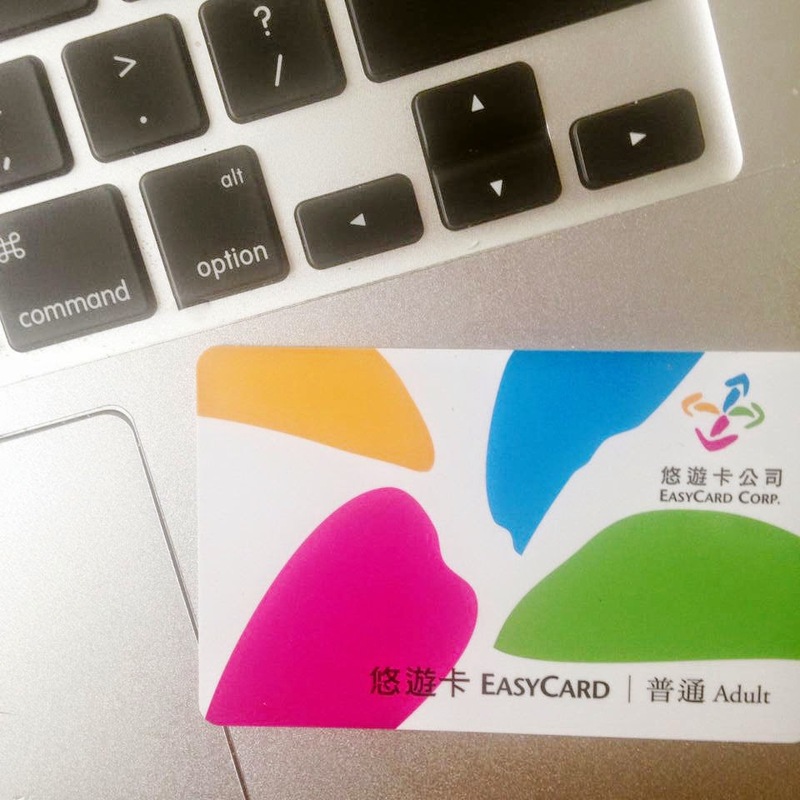 Remember to purchase the EasyCard at the train station! It is similar to the e-zlink card we use in Singapore. Another random selfie of us! HOW ABOUT WIFI AND PRE-PAID CARD SERVICES? Oh yes, I suggest you to get your internet pre-paid card at the airport, very easy spot one because when you come out of the arrival hall, you will see a line of tourist queuing at the telecom service counter. Thus there are more than 3 telecom carriers you can choose from. To me, they are all the same, so just go the one with the least queue. The price doesn't differ much! Only by 10 yen (hahaha suddenly thought of oligopolistic competition I learnt form econs). Oh yes, they do not have 4G services yet, so it's only 3G! But as long as there is internet for me to connect to my family via whatsapp, it's more than enough for me! So after slacking in our apartment for 2 hours, we decided to head out for dinner and explore Ximending. Finally back at Ximending after 3 years! Ximending is somehow like the Orchard Road/Bugis Street of Singapore where all the youngsters all hang out. If you are intending to shop here, do note that the prices of the souvenirs/items here are slightly higher compared to other places like Shilin Night Market, Dansui etc. so I would recommend you to not buy the item impulsively if not you will regret when you see the same item selling at a lower price! You can try your luck to bargain as well! I suggested if we should go back to the place that I ate last time! Because I was craving for Taiwan Orh-Jian! (See below). Prices are relatively cheap and affordable! Order more and share would be preferred if you few like trying more than one dish! 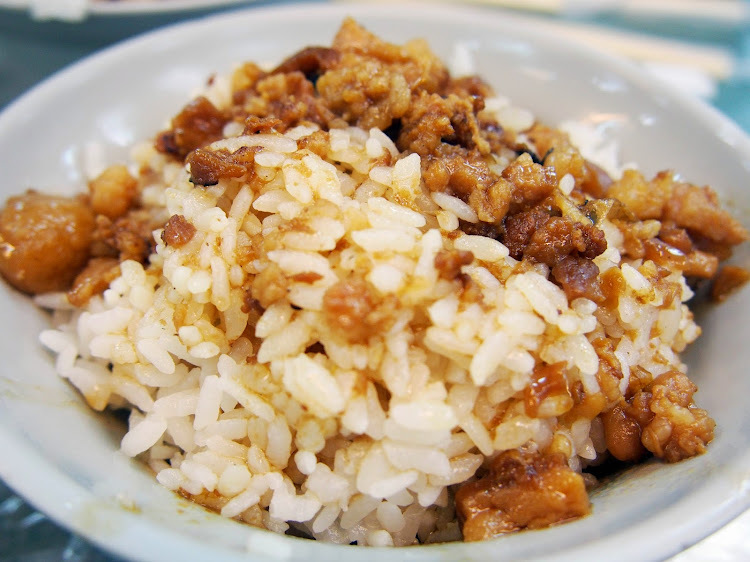 Lu-Rou Fan / Braised Pork Rice (The serving is kids portion actually, so if you are hungry like me, you can order two bowls). Yums! Don't fee like eating braised pork? They also have chicken slices as well! 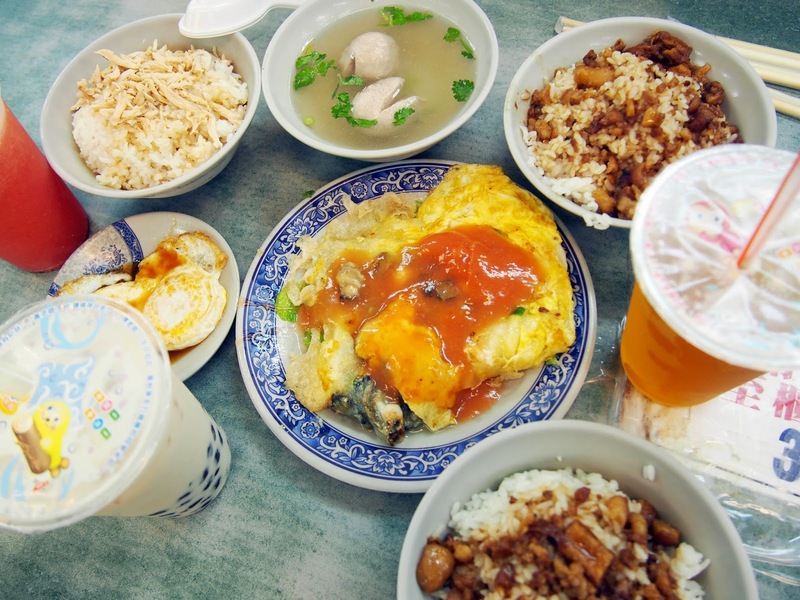 I absolutely miss the Taiwan Orh-Jian, especially the sweet sauce! Full-shot of the food we ate! What a satisfying day! I went to queue for the famous crispy potato with nacho cheese. My friend told me they used to have it in Singapore at Causeway Point, (well in fact, I didn't know about it)! 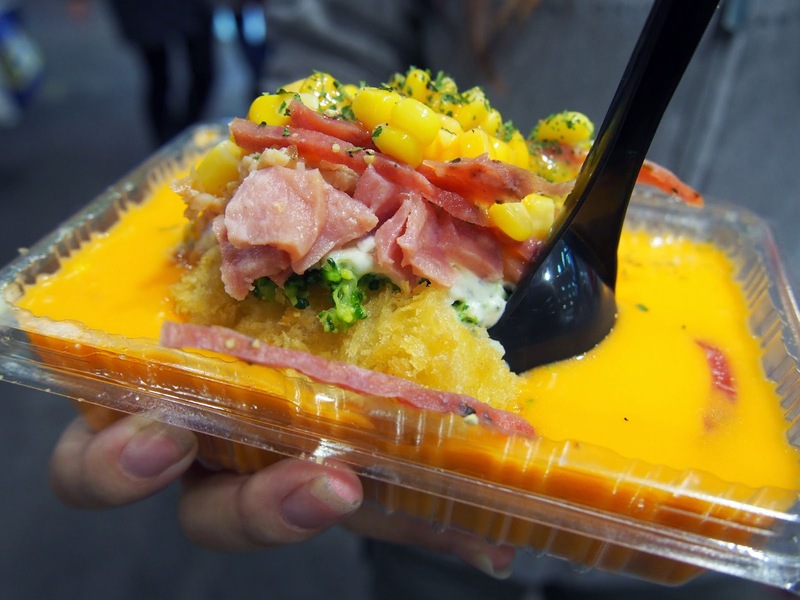 Crispy Potato topped with warm nacho cheese w/ broccoli and ham slices! 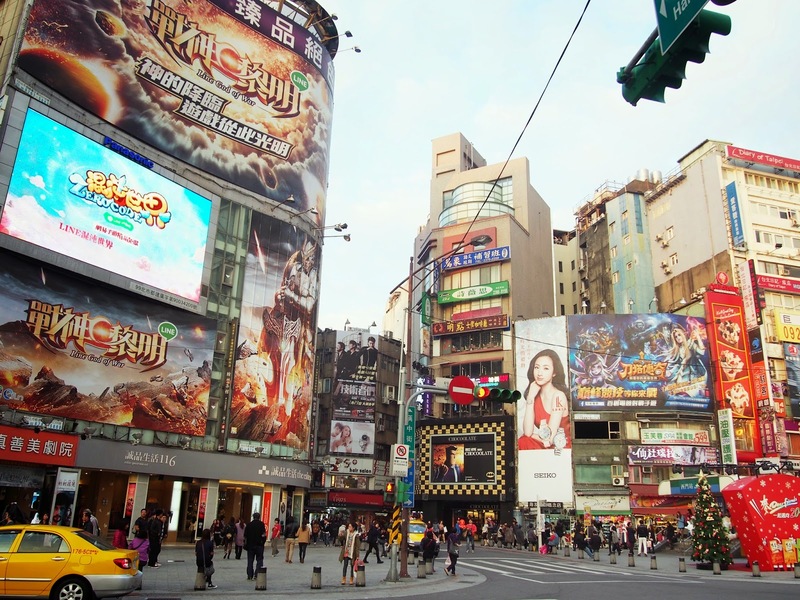 Q: Is one day enough to shop at Ximending? A: Yes definitely! In fact, if you stay at this district, you will kinda get bored of the places around here. Hence, I would suggest you to visit other places if you have the time. Oh yes, if you are intending to visit XMD, come after 5PM! There will be more crowd and things to see! Eg. Street Performances! Q: Will I get lost at Ximending? A: For first timers, Yes! 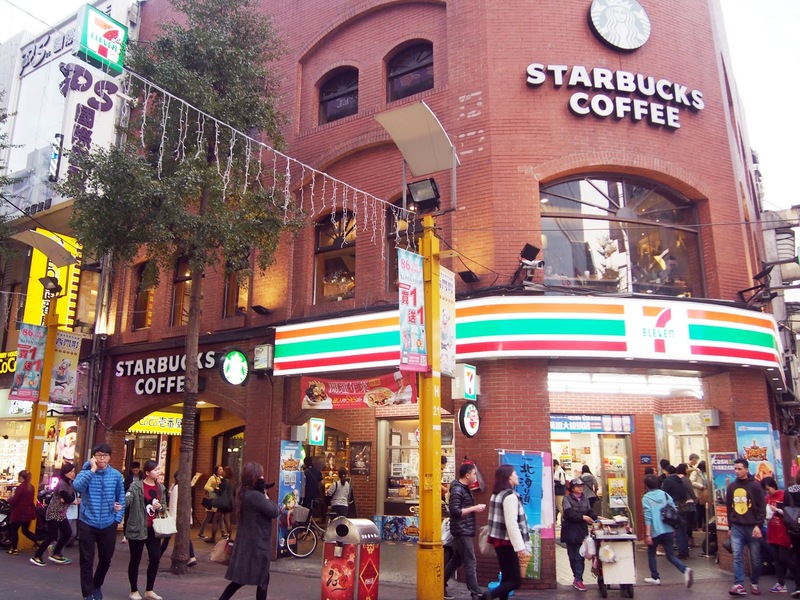 Ximending is quite big and there are many streets. Hence, it might take awhile for you to get familiarise with the places. 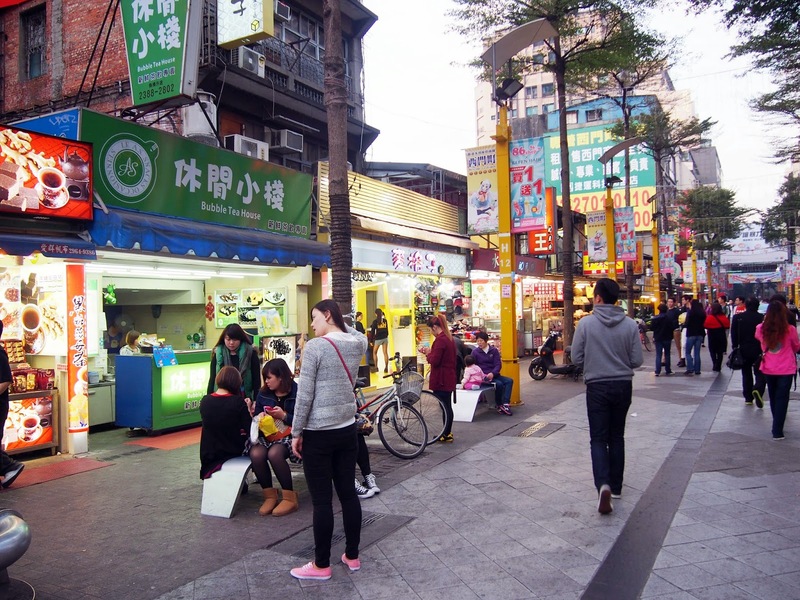 Q: What to except or do at Ximending? A: Eat, Shop, Leisure! 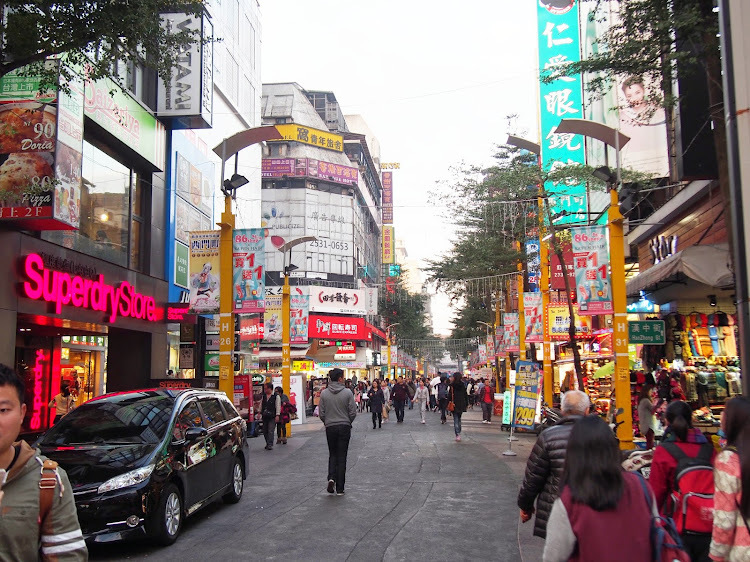 Ximending has plenty of retail shops selling iPhone covers, accessories and clothes. They have quite a number of eateries as well, so you do not have to worry if you cannot find food! They also have KTV and more than 3 cinemas if you feel like catching a movie or if you want to sing to kill time! They have a multi-storey Uniqlo and there are really tons of activities you can spend your time here! Day 1 was a pretty short day for us because we were all drained out from travelling! We had an early night because we had other places planned out for the next few days. Be sure to look out for my next post, I will be covering Taipei Zoo, Shifen Street, Shilin Night Market, Rao He Night Market, Taipei 101 and many more! And yes, there will be more food pictures in my next post! I will also show you the morning breakfast shop just below my apartment! 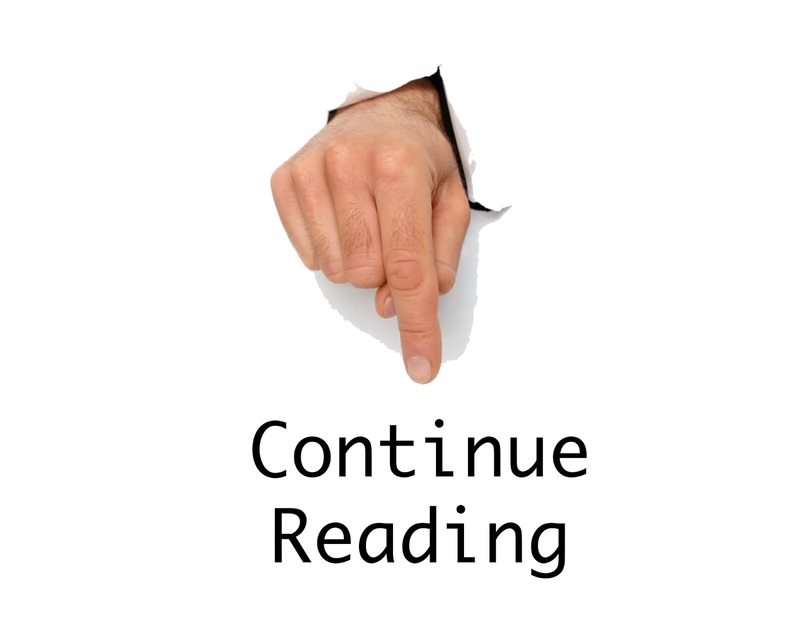 Hope you enjoyed reading! 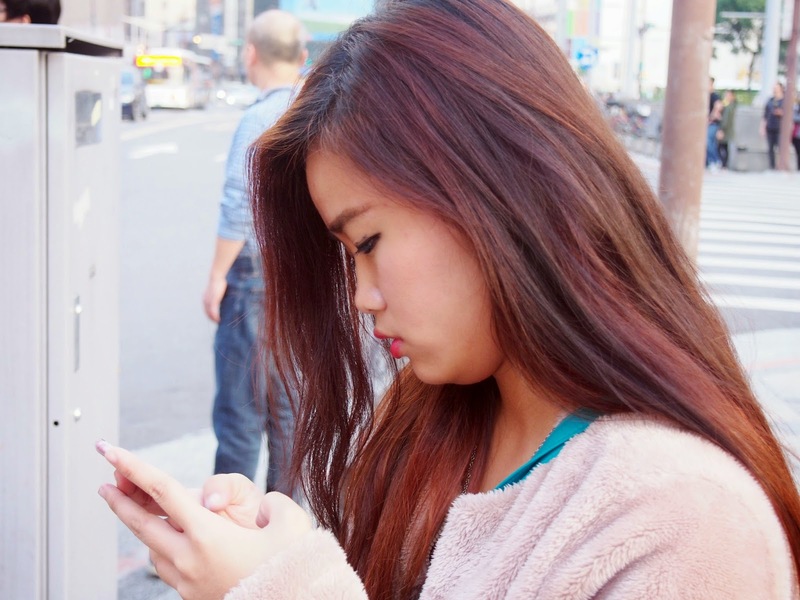 Hi, can I check which private apartment did you stayed in XiMenDing? 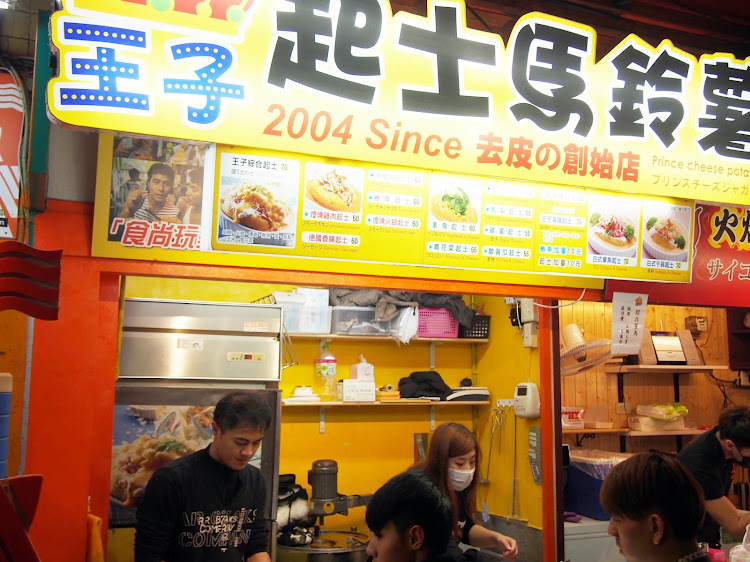 This is such an amazing blog entry as I have been looking for stuff about Taipei, Taiwan. cheers! 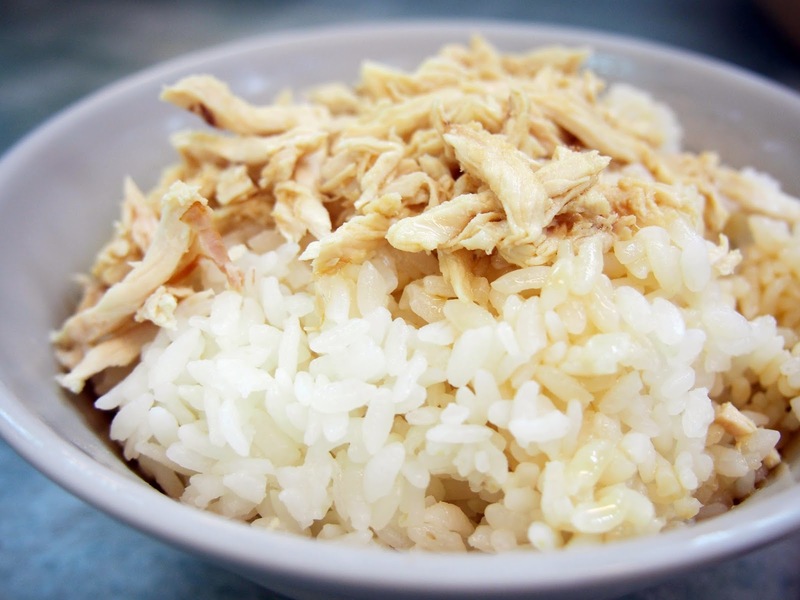 Super useful blog - I'm going to Taiwan soon :) Thanks. Do you know thay Superdry is an English brand, not Japanese. Their Japanese doesn't even make sense. Great blog. Lots of useful Info!